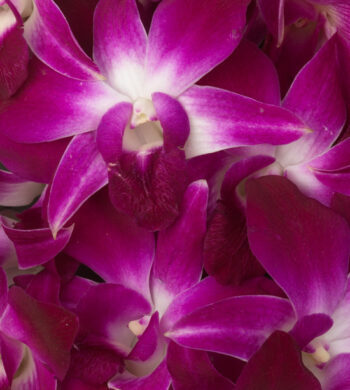 A popular pairing to give and receive, the orchid and the bromeliad are exotic beauty and natural elegance all in one. 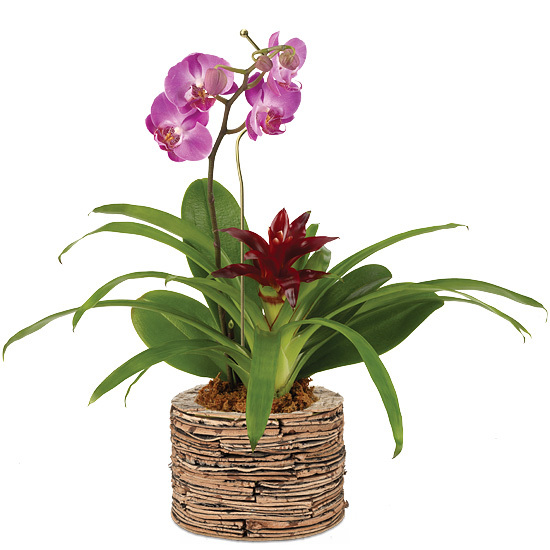 One hot pink phalaenopsis orchid (arriving in bud and bloom with striking purple throats) and one deep burgundy bromeliad grow together amongst their gorgeous green foliage. The textured birch cachepot makes a statement with its rustic earthiness.